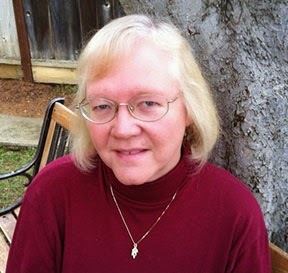 Patricia Boyle writes contemporary fiction, fantasy, science fiction and poetry. Her current project is a YA fantasy novel set in Betherion, a medieval Earth-like world where Patricia likes to hang out when she’s not teaching elementary school science. A graduate of Cornell University, and former research meteorologist, she has taught science and mathematics at every level from college to first grade. Her fascination with human nature and the natural world influence her fiction. Some of her stories and haiku appeared in the anthology “Voices of the Valley: Encore.” Her story “Preservation” won a Second Place award in the “Las Positas College Anthology 2014.” She is vice-president of the Tri-Valley branch of the California Writers Club (www.trivalleywriters.org). She and her husband have two grown children. Patricia can always depend on her family to provide valuable insights on her writing projects. WOW: Congratulations on placing in the top ten in our Summer 2014 Flash Fiction competition! What inspired you to enter the contest? Patricia: Being relatively new to writing, I like the ability to get feedback on my submissions, which is one of the options available in WOW Flash Fiction contests. I've been writing for about three years, while continuing my teaching career, and am always on the lookout for contests that fit into my limited writing time. Flash fiction and short stories work well with my schedule, and allow me to work through the writing process from conception to polishing in a much shorter timespan than a novel. The stories I read from past WOW contests were of high quality, and inspired me to try my hand at the contest. WOW: We're glad that you decided to go for it! Can you tell us what encouraged the idea behind your story, Shaken and Stirred? Patricia: When the earthquake hit near Napa last summer, it woke me from a sound sleep, even though I live more than sixty miles from the epicenter. We felt only shaking from the quake, but hundreds of people suffered injuries and there was a lot of destruction around Napa. That morning I thought about earthquakes, and the how the damage they cause can disrupt lives for years. The idea came to me that perhaps sometimes, an accidental death related to an earthquake can bring about a positive change in someone's life. Unlike most of my writing, the story developed quickly, without need for an outline or plan. WOW: Coincidentally, I felt that earthquake pretty strongly since we live less than 20 miles from the epicenter. I didn't get a flash fiction story out of it though, so good for you! What do you enjoy about flash fiction writing versus the other kinds of writing that you do? Patricia: I like the challenge of trying to tell a complete story in a succinct way. Flash fiction is more focused than longer stories or novels. There isn't time to develop a large cast of characters or subplots. In a short span, one has to create a bond between the reader and the characters and tell an interesting tale that satisfies. It feels like a puzzle to me, to get the right balance of dialogue, character development, action and conflict to create a quick story that can linger in the reader's mind. Patricia: Since I'm still teaching, I fit in writing as I can, in the evenings and weekends. I need quiet to work, and generally write at a desk in the living room or study. In either place, I try to shut out the rest of the world for a while and give myself over to my current project. As I write, I listen to my characters, and try to let them tell me how they want to develop. Sometimes a character I hadn't consciously created pops into the story and takes the plot in a new direction. That's the sort of writing development that keeps me at my computer long after the time I've allotted for the day, and brings me back, to see where the story will go next. To get started, I generally read over the last page or two I've written, to get myself back into the story and reacquaint myself with the characters. I keep a pad of paper and a pencil next to my laptop, to jot down thoughts and plot ideas before they slip away. I generally think out plots on paper, even though I write the story on the computer. WOW: It's always interesting to learn about another writer's process. Thanks so much for chatting with us today, Patricia. Before you go, do you have any tips for our readers who may be thinking about entering writing contests? Patricia: Read, read, read. It can be helpful to read a variety of published work but I also recommend reading winning stories from past contests of the type you want to enter. Also, read about the judge for the current contest. Each contest may have a different focus or style. Think about what the readers of that specific contest might be looking for in a story. When you've finished your piece, take the time to read it aloud and polish it, then check the submissions guidelines carefully before you hit the 'send' button! Our Winter Flash Fiction Contest is OPEN until February 28, 2015. Congrats! Best of luck to you in all your endeavors.